I drove through Amador County Monday en route to my family holiday, and somewhat out of character for me, stopped to taste some wines. I had just enough time to visit two sites, Deaver Vineyards and Vino Noceto, both in the vicinity of Shenandoah School Road. Deaver’s facility was gorgeous, and its tasting menu lengthy. I liked the carignane and one of the zinfandels, a blend of 10 different clones. My second stop was Vino Noceto, another family-run vineyard, one that specializes in sangiovese and zinfandel. The winemaker also produces barbara, but the latest vintage has yet to be released, and apparently is so small it’s allocated mostly to club members and those who happen to be at the right place at the right time. I very much enjoyed both sangioveses, and a zinfandel made from reportedly some of the oldest vines in the United States. Old vines in Amador County. I will absolutely return when I have more time. The soils of Amador County are iron rich and full of sandy clam loam, which makes them able to retain more of the region’s limited rainfall. These conditions, naturally, make an area ideal for the cultivation of high-quality wine grapes. 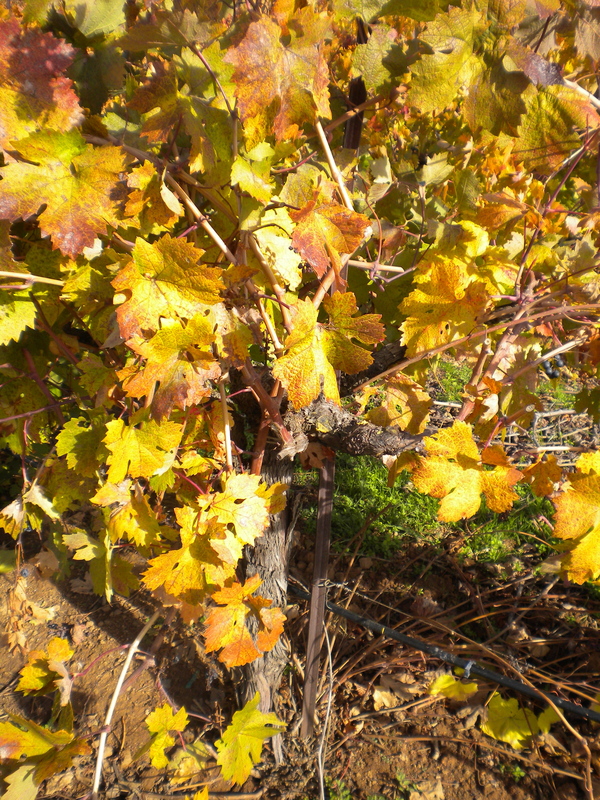 The first vineyards in Amador County were planted around 1849 after the start of the Gold Rush. Today, many of those old zinfandel vines still grow earthy, spicy wine and represent the region’s best known varietal. Other grape varietals the region showcases are the Italian varietal barbera, and syrah, as well as sangiovese, petite syrah, sauvignon blanc and viognier. Vineyards now represent approximately 50 percent of the region’s agriculture. Although technically it’s not part of Santa Barbara’s so-called Urban Wine Trail, the newly relocated winery and tasting room of Sanguis Wine is definitely one of the coastal city’s urban delights. Matthias Pippig, winemaker and co-owner with his wife, Jamie Kinser, and their assistant winemaker, Jessica Gasca, moved the winery from a Happy Canyon facility shared with Grassini Family Vineyards & Winery to Santa Barbara mid-summer. The current harvest is their first in the new digs on Ashley Avenue, a tiny cul-de-sac west of Milpas Avenue. The building formerly housed an architectural firm, and Pippig said that he ended up hiring its staff to assist with remodeling the space into a winery. During our interview in early August, workers were excavating and leveling earth for a now-completed driveway that runs the length of the building, and the cement dried just in time for Sanguis Wines’ industry party the following week. Trucks carrying grapes harvested for Pippig have just enough space to motor down the narrow drive and turn around behind the winery. While the winery-tasting room appears utilitarian from the street, inside it’s anything but. Visitors enter the building via the sparse but cozy tasting space, complete with table and chairs, with the winery itself at the rear. The “wall” dividing Sanguis’ barrel room from the winery is actually floor-to-ceiling panels made of acrylic and aluminum that glide open and shut. Jeremy Ball photo/Winemaker Matthias Pippig, center, with visitors to the August open house at Sanguis. 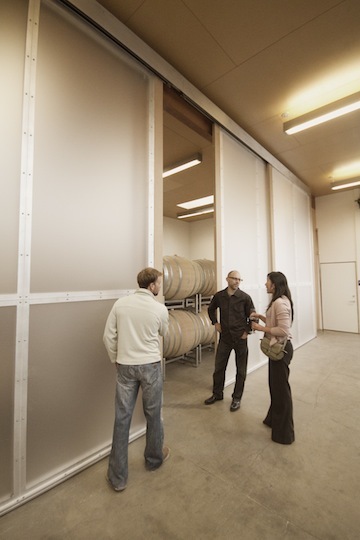 The sliding doors divide the temperature-controlled barrel room from the winery's main production area. Pippig, a native of Bavaria, Germany, journeyed from schoolboy to winemaker via his initial love: music. He left Germany for the United States at age 18 to study studio recording, but, in his words, discovered it to be “not so fun.” So he quit. His years working for de Gratzie were “a great education” into wine. From there Pippig spent 12 years working for La Brea Bakery in sales, marketing and business development. His years there were a good experience, Pippig said, “and how I funded the wine company” that would become Sanguis. Another early inspiration for Pippig was meeting the late Michael Bonaccorsi in 2003 while the latter worked for Masa’s and the Cypress Club in Los Angeles. That same year, Bonaccorsi turned his long-held dream of winemaking into the Bonaccorsi Wine Company. During Bonaccorsi’s first year, Pippig worked alongside him, soaking up his fellow winemaker’s enthusiasm for the craft. “He got a lot of free labor out of me,” Pippig recalled, smiling. Bonaccorsi’s sudden death in March 2004 “was a big loss” for Pippig personally, as well as the Central Coast wine community, he noted. Someone Pippig met while working with Bonaccorsi at Central Coast Wine Services in Santa Maria was Ben Merz of Coastal Vineyard Care, and as the two developed a friendship, Pippig described to Merz the kind of grapes and viticultural techniques he hoped to utilize in his winemaking. Blending, in fact, is a big part of what makes Sanguis tick, Pippig said, and it’s a two-step process that begins right on the heels of harvest. “In 2005, we began co-fermentation as an experiment.” Today, that step is as integral to the label as is Pippig, who considers the practice vital. “Co-fermentation is the magic we cannot control, and it’s really key” to our winemaking process. The second blending follows fermentation, Pippig said, and by doing so, he, Kinser and Gasca seek flavor profiles that are bold but silky, seductive yet bright and reflect the soil and terrain from which they grow. Once fermentation is finished and Sanguis wines are in the barrel, time is on their side. Literally. The 2007 Las Mujeres, for example, spent 42 months in barrel, Pippig explained. The wine, bright and elegant, is roughly 65 percent grenache and 30 syrah; roussanne and viognier make up the difference. In order for wine to survive the test of barrel time, “one needs quality grapes, and the wine needs structure,” Pippig noted. He’s seen certain wines flatten out after two years in barrel only to “come back alive” after another year or more have passed. While their vintages cellar away the years, Pippig and Kinser work hard to sell their wine before its time, creating an equation of success: Multiply more time in barrel times smaller lots of wines, and by the time release dates roll around, four years later, vintages are likely sell out quickly. That was the case with the 2007 Las Mujeres, Pippig said; it was released, and then it was gone. Pippig characterizes Sanguis wines as “big, expressive, powerful and with depth,” but notes that these characteristics do not come at the expense of balance. While Pippig’s original vineyard source was Watch Hill in the Los Alamos Valley, he now sources from a handful of sites with blocks that are planted “100 percent” to his specifications. One of those is Bien Nacido. Another is John Sebastiano Vineyard, located on hillsides north of Highway 246, just inside the eastern border of the Sta. Rita Hills AVA. 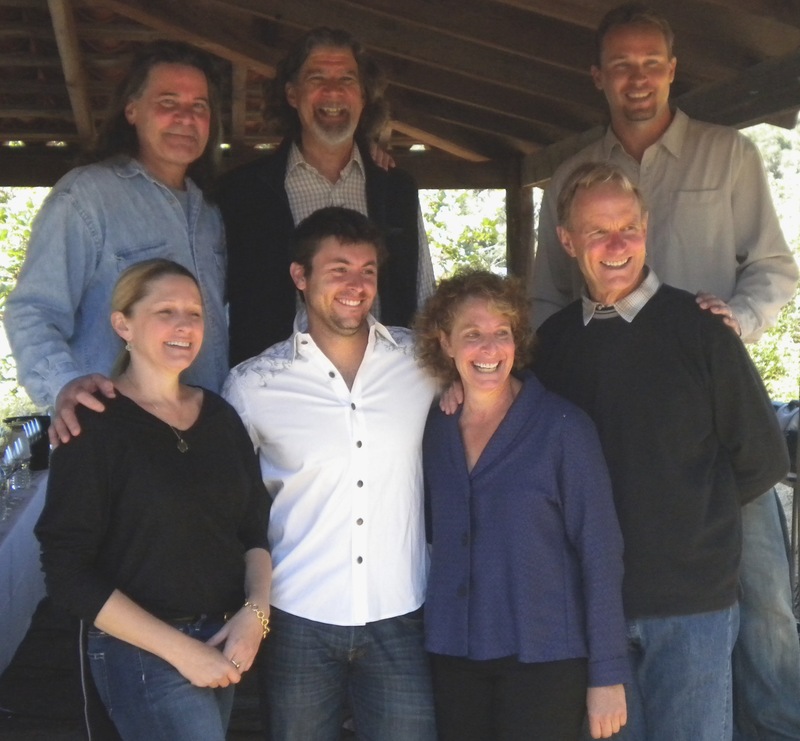 In the years following his hands-on training with Bonaccorsi, but before Sanguis moved to Santa Barbara, Pippig made wine for the Grassini Family Vineyards in Happy Canyon of Santa Barbara County until 2009, and was instrumental in building its winery facility in 2007 and 2008. As Sanguis’ case production continued to grow, and Pippig kept a hand in the food consulting and product development business in Los Angeles, all the while living in Ojai with Kinser and their two teenage boys, something had to give, and that was his gig at Grassini, he explained. Pippig estimates that Sanguis’ case production will top 1,400 for 2011 — “still a tiny number” — and hopes to cap its size at roughly 3,000 cases per year, a volume he expects will allow him to balance business, creativity and lifestyle. Speaking of creativity — how do Pippig and Kinser come up with these names? Backstreet Betty. The Oracle of Delphi. Kubernetes. And three new releases: Ode to Sunshine. Endangered Species. Polly Anne. Taking individualism one step further, Pippig also bases bottle style (Bordeaux, Burgundian) on each wine’s personality; the majority of Sanguis’ Rhone-based wines are in extra-thick glass and Bordeaux-style silhouettes. “Powerful, big wine gets a bigger bottle,” Pippig said with a shrug and a smile. Details: Sanguis Wine, 8 Ashley Ave., Santa Barbara, 93101. Phone: (805) 845-0920; web: http://www.sanguiswine.com; e-mail: mail@sanguiswine.com. Tasting Tuesday through Saturday by appointment only. I’ve been a fan for some time of Santa Maria’s Central City Market, but on Aug. 9 attended my first winemaker dinner there with the family of owners and winemaker for Presqu’ile (“Press-KEEL”) Winery, also located in Santa Maria. 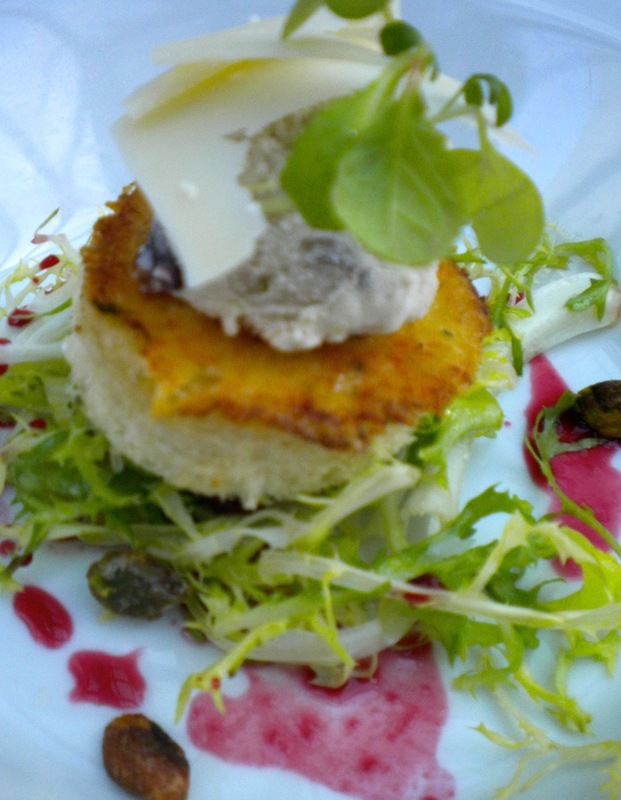 Starting with the appetizers, served with Champagne and Presqu’ile’s limited syrah vintage, and progressing to the four courses and dessert, the entire evening was exquisite. If you’ve met Cronje, you already know that his enthusiasm for the Central Coast and making wine is contagious, and he isn’t shy about sharing his opinions about wine styles in general. From back left: Bruno D'Alfonso, Rick Longoria and Ryan Carr. Front: Morgan Clendenen, Ryan Zotovich, Kathy Joseph and Richard Sanford. On a warm weekend in mid-August, many of those who make wine from vineyards in Santa Barbara County’s celebrated Santa Rita Hills gathered to honor the region during the Wine & Fire event marking the 10-year anniversary of the AVA. Wine tasting events led off the three-day Wine & Fire Friday night at both Avant Tapas and Wine in Buellton and D’Vine Wine Bar in Lompoc. Both events drew large crowds — Avant’s staff ran low on glasses and wristbands and patrons had to shout to be heard over the din, and at D’Vine, proprietor Karen May said she turned down latecomers because space ran short. Clos Pepe winemaker Wes Hagen welcomed participants by noting that 2011 is the 40th anniversary of the planting of the first vineyard in what is now the Sta. Rita Hills — the iconic Sanford & Benedict Vineyard. So it was especially fitting that the pioneer of that vineyard and Sta. Rita Hills wine in general, Richard Sanford of Alma Rosa, was that morning honored for his work as “navigator” behind the evolution of the region’s viticulture. “We’re something different,” Hagen noted. “We’re not the Santa Ynez Valley, and we’re not the Santa Maria Valley.” He urged those present to look east, then west, and feel the difference between the two directions. “The Pacific Ocean to the west fights with the summer heat to the east,” creating one of the most unique geological regions in California, he said. Winemakers seated for the panel included Sanford; Ryan Carr, Carr Winery; Kathy Joseph, Fiddlehead Cellars; Bruno D’Alfonso, Badge, D’Alfonso and D’Alfonso-Curran wines; Rick Longoria, Longoria Wines; Morgan Clendenen, Cold Heaven Cellars; and Ryan Zotovich, Zotovich Cellars. Josh Raynolds of Steven Tanzer’s Wine Cellar moderated. Carr, whose vineyard management company oversees several area sites, emphasized that the Sta. Rita Hills’ soils are a “unique” sandy loam — a mix of sand, silt and clay. That treasured soil structure, along with a cool climate, leads to the characteristics for which SRH wine is famous: “Great acidity, a ripeness on the mid-palate and a long finish,” he noted.